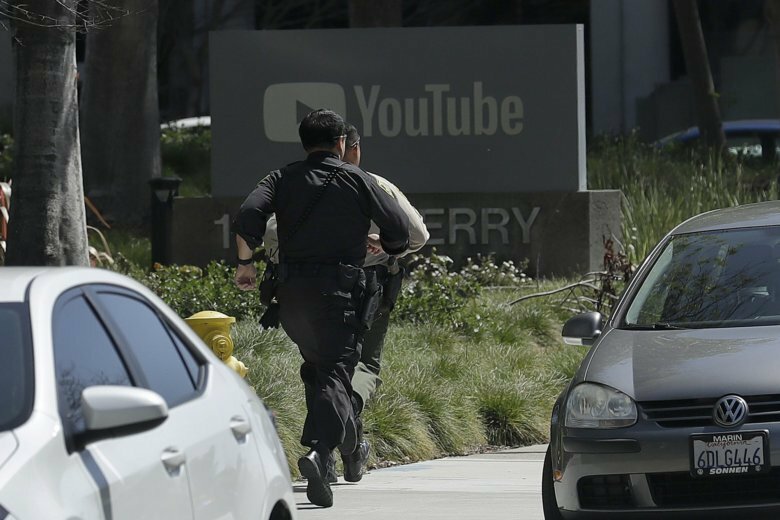 Yesterday's shooting at YouTube headquarters in San Bruno, Calif. is markedly different from other recent killing sprees in several important ways. The shooting also pokes holes in proposed gun control schemes. The accused shooter, who is not being named by The Resurgent, did not fit the normal mold of spree shooters, who are predominantly either Anglo-American white males or males of Muslim heritage. The YouTube shooter was a woman, which is rare is spree shooting cases. The 39-year-old woman was apparently of Persian (Iranian) heritage, but so far there is no evidence that the attack was religious-based terrorism. Law enforcement sources told the AP that the shooting is being investigated as a “domestic dispute” even though there is no evidence so far that the woman knew the victims or specifically targeted them. The woman was an active creator of videos on YouTube and other social media platforms. The Telegraph reports that her family said she was angry about YouTube allegedly filtering and de-monetizing her videos. “She was always complaining that YouTube ruined her life,” her brother said. The woman's father told Fox News that she had disappeared two days earlier and had stopped answering her phone. Police reportedly found her sleeping in her car around 2:00 a.m. on the morning of the shooting in the city of Mountain View near San Francisco. Although the motive was apparently not political, the woman seems to have been an animal rights activist. She was quoted in a 2009 article in the San Diego Union-Tribune about a PETA protest against the use of pigs in military trauma training per The Telegraph. Her YouTube videos, now removed, discussed animal rights, vegan issues, Persian culture and fitness. It was her workout videos that led to the problem with YouTube after the site placed an age restriction on one video that it deemed too racy. So far there is no indication of any gun ownership by either the woman or her family prior to the attack. California's gun laws are among the strictest in the nation and include a 10-day waiting period for firearms purchases as well as an “assault weapons” ban. The precise type of weapon used by the woman is not known, but multiple outlets report that it was a handgun, not one of the AR-15-style rifles that have been demonized by anti-gun activists since the February shooting spree in Parkland, Fl. Where the woman acquired the gun is not known. There is also no indication at this point that the woman exhibited prior signs of mental illness or violence. In many cases, spree killers display warning signs to family and friends or have prior records of civil disturbances before they go on a killing spree. Her family said she “hated” YouTube, but have not indicated that there were warning signs that she planned to attack the company prior to her disappearance. The YouTube shooting is tragic, but underscores the difficulties in preventing active shooter incidents. The gun is unlikely to have been affected by the gun ban bills most likely to become law and there seems to have been no obvious reason to prevent a gun purchase by the woman. If the gun was obtained legally from a gun shop, she circumvented California's strict laws and planned the attack far enough in advance to take the waiting period into account. The shooting is another case in which defenseless citizens were at the mercy of an active shooter because of state and local laws that make it difficult for people to own and carry guns legally. The shooting spree ultimately ended as an “officer carrying an assault rifle” arrived and the shooter killed herself, per the eyewitness account of software engineer Zach Vorhies in the AP. As with many spree shootings, the bad guy was stopped by good guys carrying guns.